In some hands, history can be an inspirational and rewarding subject, yet in others it can seem dry and of little relevance. The aim of this textbook is to enable student teachers to learn to teach history in a way that pupils will find interesting, enjoyable and purposeful. 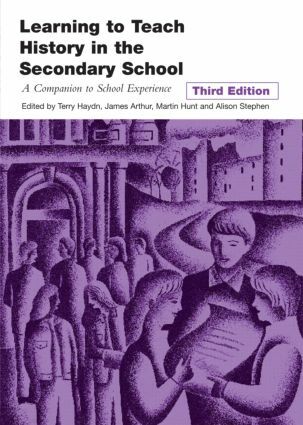 It incorporates a wide range of ideas about the teaching of history with practical suggestions for classroom practice. This is the third edition of a textbook that has established itself as the leading text for student teachers of history. It has been thoroughly updated, with a revised chapter on the use of ICT in history teaching and major new sections in the areas of inclusion, resources, assessment and professional development. It provides an array of references and materials that give a sound theoretical foundation for the teaching of history, including weblinks to further resources. A range of tasks enable students to put their learning into practice in the classroom. The book also provides reference and access to a wide range of recent and relevant research in the field of history education, which will be of use to student teachers pursuing courses that have a Masters Level component. In all, it is an invaluable resource for student and beginning history teachers.